And now I’m faced with a dilemma. 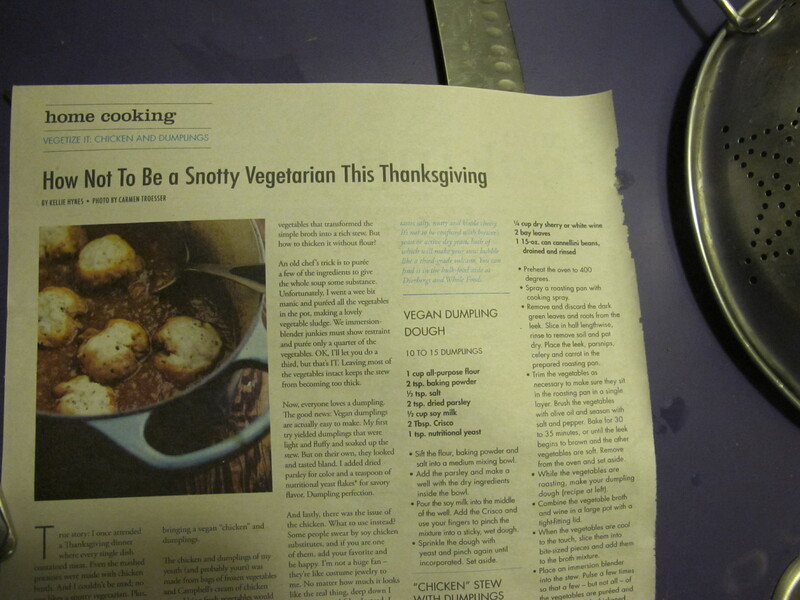 You see, I was so planning on being a snotty vegetarian this Thanksgiving. The experience would look great on my resumé, right up there under “Snotty Bicycle Health Freak.” Heck, it may be just what I need to get my resumé noticed. But now that I’ve made a batch of the vegetarian dumpling soup from the aforementioned article, I feel like I really have no excuse. As much as I enjoy my chickpea flour dumplings (great flavor plus a nutritional boost from the bean flour), I’m glad I opted to follow the recipe and try something new. As usual, I didn’t follow the recipe too closely: whole wheat pastry flour and butter for the dumplings, and lots of variations when it came to the soup/stew, but that’s the beauty of a soup. I didn’t roast any veggies for my soup, but I did have some roasted veggie broth on hand from deglazing a baking tray earlier in the week. 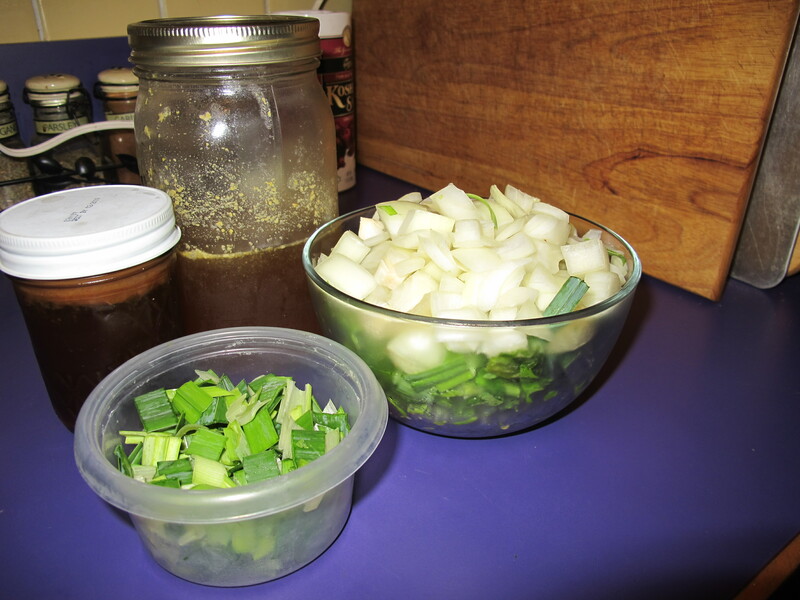 I’d used [most of] our leeks in another soup, so I just used onion, plus a bit of leftover leek greens (yes, you can those). 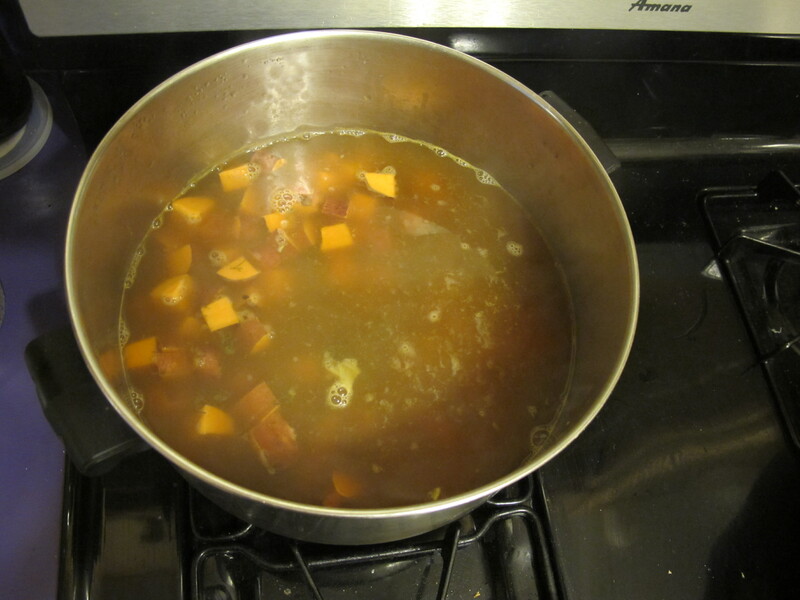 Instead of carrots, I used sweet potato, which I adore in soup, plus that’s what we had on hand from the garden. I’m still figuring out how to hit that sweet spot with the sweet potatoes: melt-in-your mouth tender, but not mush. These were close, but a little overcooked. I used lima beans instead of the called-for cannellinis. 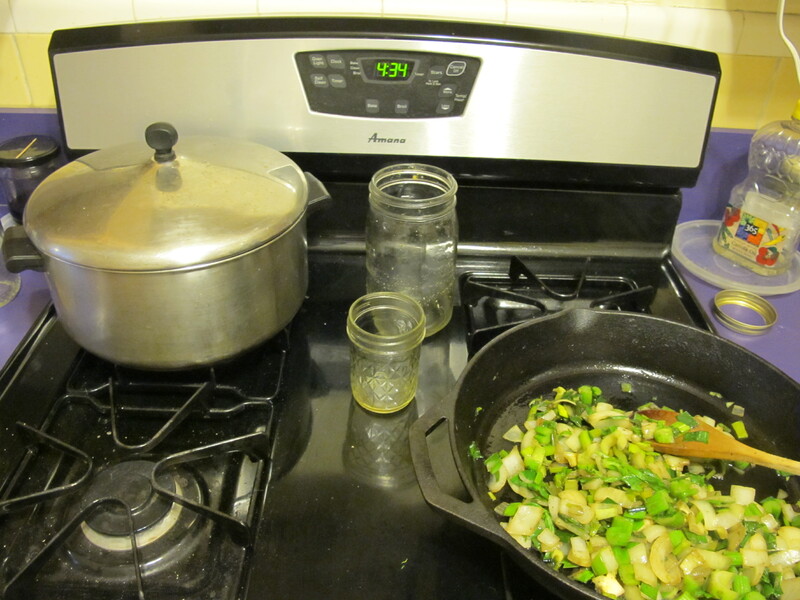 I really liked the limas, but a white bean would definitely work, as would garbanzos. Either way, I applaud the author’s decision to skip fake meat (she said snottily). The dumplings were beautiful, fluffy little pillows that rounded out the soup nicely. 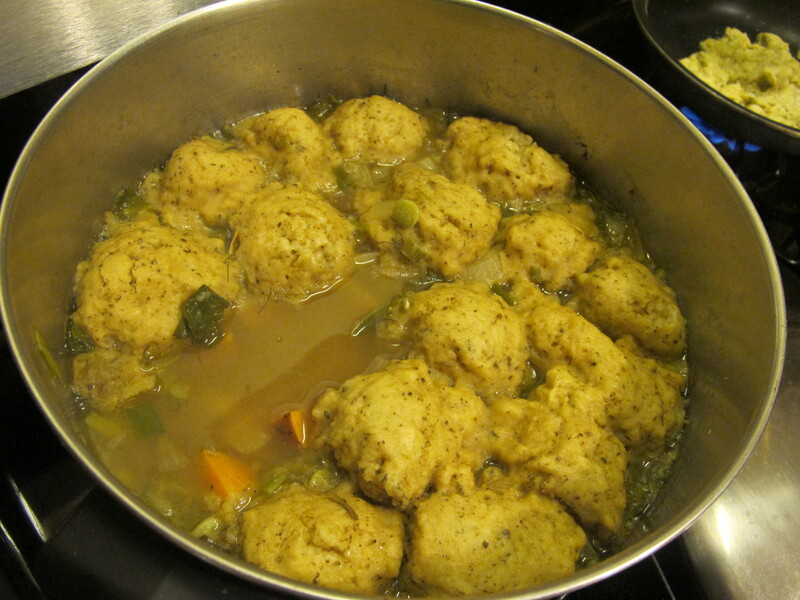 To avoid soggy leftover dumplings, cook as directed, then immediately transfer the cooked dumplings to a separate dish and refrigerate in a separate container (i.e., not sitting in the soup). Since I made this soup late last week (and just finished the leftovers for lunch yesterday), I most likely will not be using this recipe for Thanksgiving this year. Instead, I’m thinking something featuring tempeh, and I’m browsing recipes, including those here and here, for inspiration. This entry was posted in Food, Recipes and tagged holiday menu, Thanksgiving, vegetarian thanksgiving. Bookmark the permalink.